Home / Unlabelled / Plastic Wastes? Convert to Fuel! 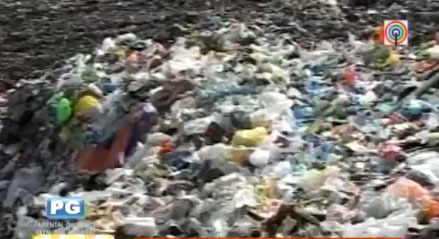 Plastic Wastes? Convert to Fuel! A few weeks back, I ran a story on a garbage granulator machine developed by Filipino inventor Bong Archeta as a possible solution to the country’s horrendous garbage problem. 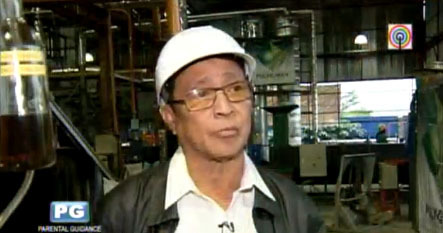 I picked the story up from a feature put together by Noli de Castro and aired for two consecutive nights on TV Patrol. Apparently, I missed a much earlier feature run by Umagang Kay Ganda on an even better technology of which the granulator is merely a part of. This technology was developed by Filipino inventor Jaime Navarro, President of a company called Poly-Green Technology and Resources, and takes waste management a different direction. In the garbage granulator story as it is currently deployed in the municipality of Taal in Batangas, the resulting pellets are either composted if from biodegradable wastes or used to make cheap but sturdy bricks if from plastics and other non-biodegradable materials. Navarro’s technology also casts the spotlight on plastic bans imposed by cities like Batangas and Lipa – and lately Quezon City in Metro Manila. Indeed, opponents of no-plastic ordinances point to the obvious loss of income for plastic-based industries and claim that the use of paper bags actually means cutting down more trees. In the technology developed by Navarro, the point of focus is on plastic wastes. These are dried, shredded, granulated and then passed through reactors that convert these into gasoline, diesel or kerosene. Navarro already operates a facility for this in Rodriguez, Rizal. Navarro reportedly stumbled upon the technology accidentally; and its development took all of thirty years to evolve. What he really wanted to achieve was to return plastics to their original chemical composition as a way to solve a chronic environmental problem in the country. Although Navarro claims not to have invented the process of converting plastics into fuel, the method of conversion is something he has patented. The machines used in his process were all designed by his engineer sons. The technology has already earned awards from the Department of Science and Technology or DOST. Using a process called pirolysis, the plastic granules are converted using heat into vapours which are then cooled using a system of pipes. The process removes impurities and allows water to vaporise. 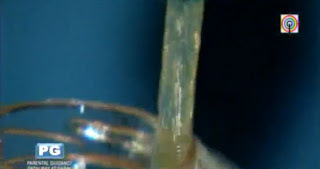 The resulting fluids are said to be chemically equivalent to fuel. Navarro and his family have been using fuel derived using these methods in their own vehicles. The fuel has less sulphur content and has less carbon emissions. If sold in the market – whether as gasoline, diesel or kerosene – Navarro estimates the fuel from plastics to cost about ten per cent less than conventionally derived fuel. The ten per cent does not seem significant; and indeed, unless there are definitive studies to prove that the fuel is safe to use, it may not be significant enough to convince consumers to switch to this fuel. That said, the implications for environmental conservation are obvious. 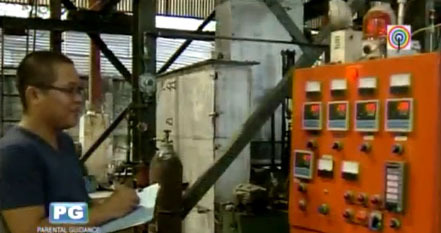 Unfortunately, the Umagang Kay Ganda feature did not say how much of an investment has to be made to build facilities. At the end of the day, it is the matter of economics that will convince cities and municipalities around the country to adopt the technology. This is another discussion altogether; and indeed, even here in Lipa there is a locally owned industry that recycles paper. Suffice it to say that any technology that proposes to convert plastics into something ultimately useful will also depend to a great extent on waste segregation. Segregation is conceptually sound. It does rely on citizens’ participation as well as on investments on the part of local government. Therein, perhaps, lays the problem. After all, anti-littering ordinances are the most ignored and taken for granted around the country. The plastic bans, in a manner of speaking, circumvent this problem if not exactly deals with it. Still, at the end of the day, with technologies such as Bong Archeta’s garbage granulator and now Jaime Navarro’s plastic-to-fuel facility, one sort of wonders why we still see those videos of tons or garbage dumped by the waves on Roxas Boulevard. The solutions are here, apparently, in our own hands. There are just those who need to make up their minds then move their pink butts from off their swivel chairs to fix the problem.